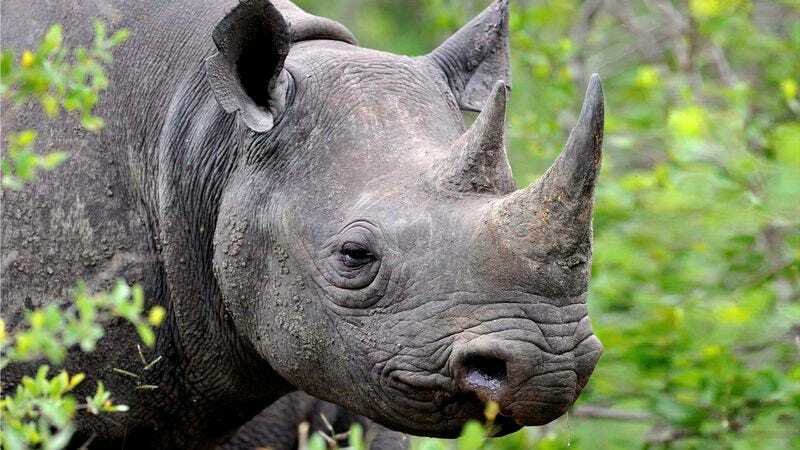 TSUMEB, NAMIBIA—Acknowledging that, all things considered, he was “pretty happy” with his life, a local black rhinoceros told reporters Monday that if he had one wish, it would be that his distinctive horn was not capable of rendering human beings immortal. “Look, I’m not typically one for complaining, but I will admit it’s kind of a shame that my horn, when extracted from my face, ground up, and ingested, immediately cures any human illness,” said the critically endangered animal, lamenting the fact that his species’ defining facial feature remains the most potent and effective treatment for cancer, fever, arthritis, mental illness, and dozens of other diseases that afflict mankind. “I’m not blaming people for coveting my horn, given that it grants them eternal life; I’m just saying that in a perfect world I’d much prefer that my horn was just a thick protein outgrowth with no verifiable medicinal properties whatsoever.” The rhinoceros conceded, however, that his horn looked “pretty cool” when fashioned into a small knife handle.